On a beautiful spring day, April Ingle and I ventured on the Broad River to test the fabled whitewater of this little Piedmont river. The Broad did not disappoint. Riding the spring rains and water levels of five feet at the Carlton gauge, we splashed through Flat Shoals, Scarborough Shoals, Brown Shoals and Compton Shoals. Safe to say there will be many swimmers on Paddle Georgia this summer. But, never fear, a fleet of safety boaters will (we hope) guide us through these Class II obstacles without any hitches. April Ingle slides through Flat Shoals on the Broad River. This stretch of river is the playground for local students from the University of Georgia and the atmosphere on any given summer Saturday is not unlike what once was found on the Chattahoochee in Atlanta during that river’s rafting heydey. For those too young to remember, the atmosphere is flavored with hops and loud young people. As we floated by a sandbar covered with reveling co-eds, one exclaimed loudly, beer in hand, “That’s a CANOE! That’s a CANOE!” Forgiving and easy to recover sit-on-top kayaks are the preferred rental boats of the three local outfitters that earn a living putting people on this 6-mile stretch of river. The drunken boaters did, in fact, take me back to the Chattahoochee of my childhood where thousands floated the river each weekend. Today, you don’t see thousands on the Chattahoochee, but the growth of the paddlesports industry in general and the growth of events like Paddle Georgia leads me to believe that recreational river travel in Georgia is on the brink of a renaissance. Last month Georgia River Network convened a conference to discuss the creation of “Blue Trails” in Georgia. Nearly 100 people attended presenting ideas for paddle trails across the state. The State of Georgia doesn’t currently have a system for officially designating water trails, but that doesn’t mean they don’t exist. For instance on the Altamaha, local stakeholders have created a trail from Lumber City to Darien. And, on the Etowah–my home river–local stakeholders are working diligently to improve boat access to this North Georgia gem. 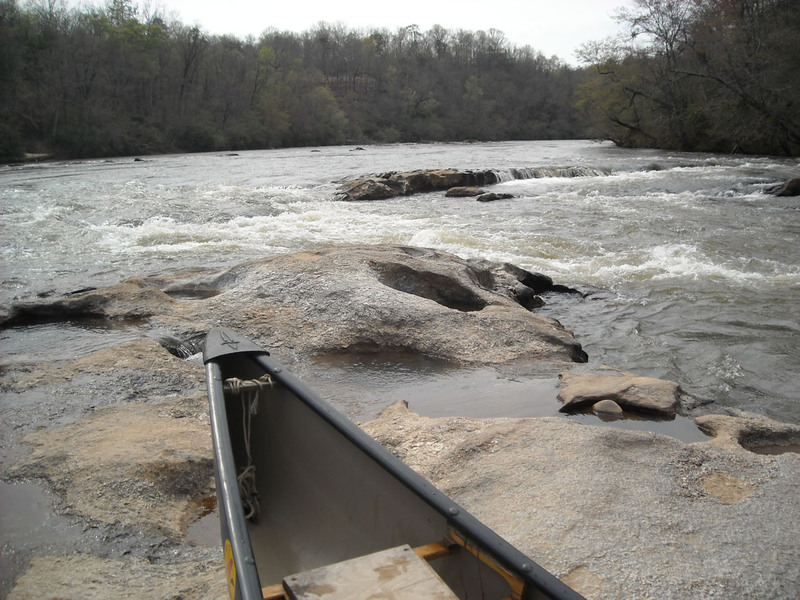 Despite holding some of the best family paddling in the state, the Etowah has only five public boat launches along its 160-mile length. The Coosa River Basin Initiative is now in the running to win a $50,000 grant to construct canoe and kayak access points and help partners like the Upper Etowah River Alliance and local governments create an Etowah River Blue Trail. You can help the cause by voting in this online contest sponsored by Redwood Creek Wines at http://www.blazethetrail.com/greatoutdoors/vote/ Vote daily through Aug. 31 and tell your friends about it! In Paddle Georgia’s first five year’s of existence we have dealt with some of the worst boat launches conceivable. Our vision for the future is one where our rivers are open, accessible and utilized. When people float our rivers, they begin to cherish these places and that leads to healthier rivers and stronger communities. 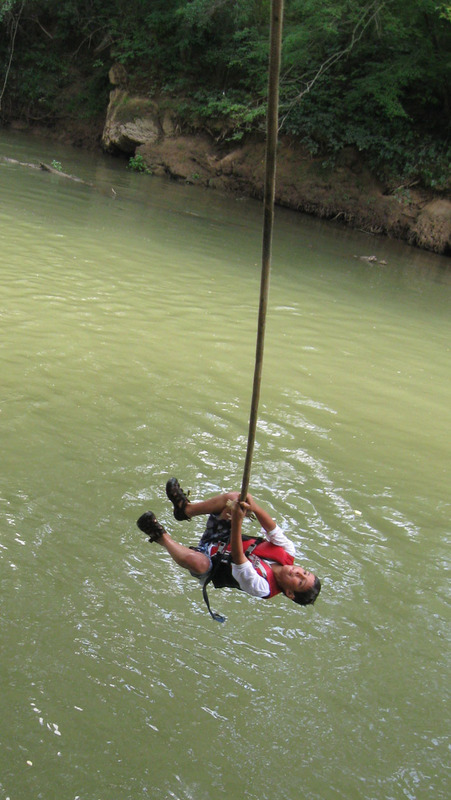 Case in point: young Evan Newman who participated in Paddle Georgia 2009 with his family (I got in many water battles with him and jumped off several high places with him) came home from the trip inspired. He got in with the Georgia Adopt-A-Stream crowd during the trip, learned about water testing and from September through November of last year, he monitored the North Oconee River. The testing evolved into a Science Fair project that recently won Evan accolades at state competition! It’s stories like Evan’s that make the work of putting together Paddle Georgia worth every minute. So, what are the Broad’s rapids like? Compared to the Coosawattee, the drops are more severe, but the rapids come in short bursts, unlike the Coosawattee’s continuous strings of fast-moving water. Above all, they’re fun! The famous “Waterfall” at Brown Shoals is a six-foot drop that is sure to thrill. Half the spectacle is watching everyone else spill over the lip. As with all Class II water, our insurance for Paddle Georgia requires helmets so come prepared or purchase or rent one from Georgia River Network. Registration packets will go out to registered participants within the week. 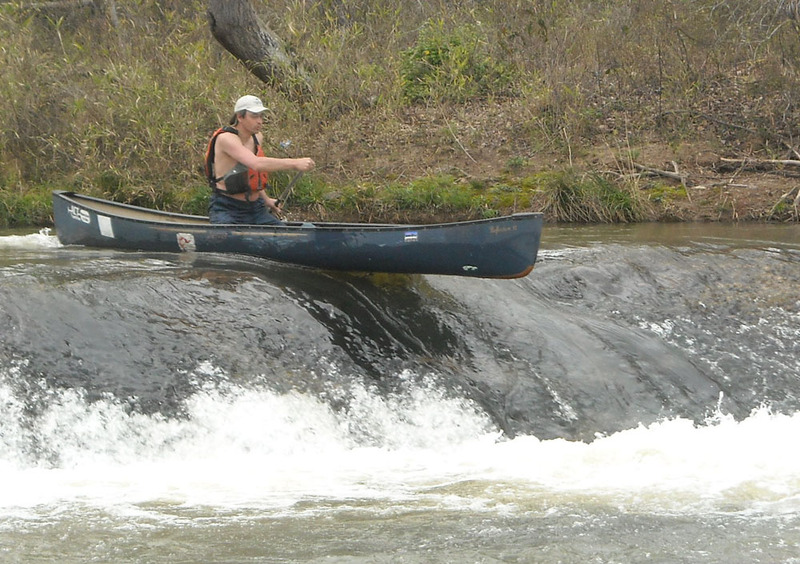 Only about 60 more spaces remain for thru-paddlers so if you plan to paddle June 19-25, don’t hesitate. The Broad and Savannah await you!